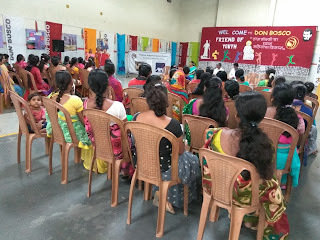 Pune (Chinchwad), 12th August 2017: The Don Bosco Development Society (DBDS), Chinchwad organized ‘Certification Ceremony’ for 40 Self-Help Group (SHG) women who completed specialized training in ‘Spice Making Business’ and ‘Phenyl and Hand Wash Production Business’. 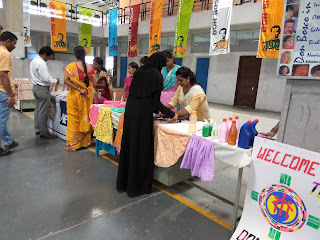 The main objective of this venture was to empower the women from the slums of Chinchwad by teaching them some skills which in-turn will help them to earn an extra income for their families. 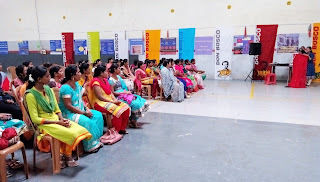 This programme was organized under the aegis of Women Empowerment Project funded by AXA Business Services. Mrs. Minal Yadav (Corporater - Chinchwad) was the Chief Guest for this programme. 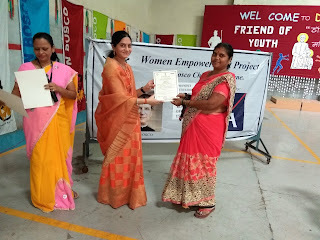 110 women participated in this event and 40 women received certificates from Mrs Minal Yadav. 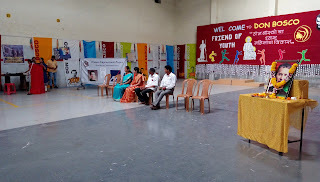 The programme started at about 3pm with the welcome address by Mrs Lalita Choudhary (Project Co-ordinator - DBDS). In her welcome address she spoke about the ‘Women Empowerment Project’ and the need to work for equality and empowerment of women. 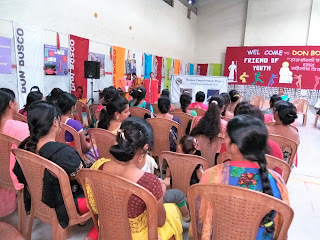 On this occasion Advocate Preeti Sathe also conducted an awareness session on the ‘Rights of Women’ in which she educated participants on their rights and legal remedy available in case of crime committed against them and violation of their rights. Mr Nagsen Chavan (Training Co-ordinator - DBDS) shared his knowledge and experience on ‘micro entrepreneurship’. He shared examples of SHG women who are running small businesses after completing their training. In her address Mrs Minal Yadav expressed her joy that women in slums are learning new skills and taking up small business to empower themselves economically and socially. She also visited the stalls put up at the venue by the SHG women to sell the products made by women themselves: like various kind of spices, Liquid Soap, Phenyl, garments etc. The programme ended with vote of thanks by Mrs Lalita Choudhary.